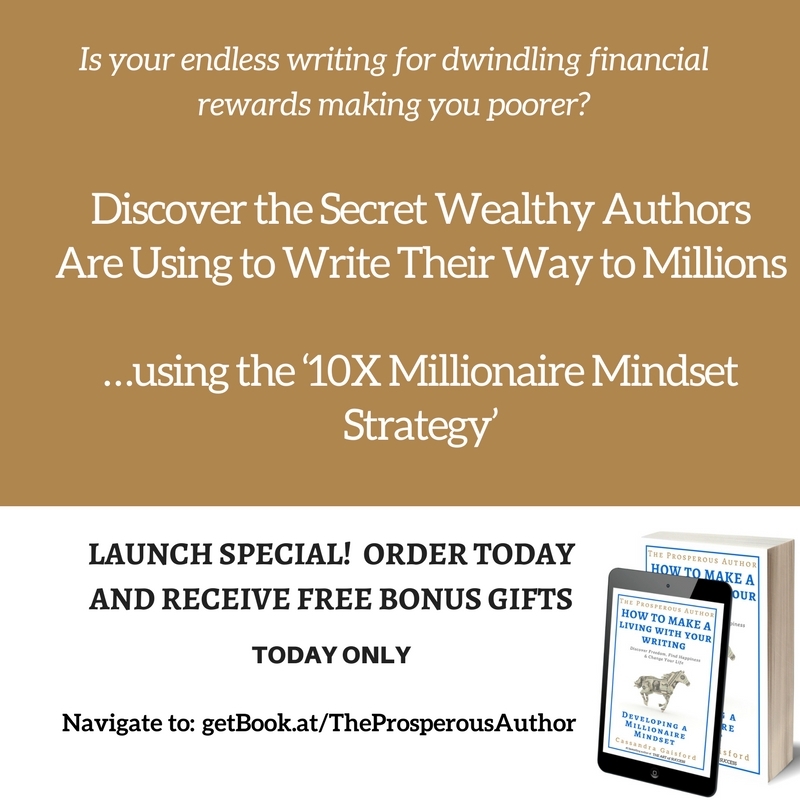 Welcome to The Prosperous Author promotion page—your one-stop-sales-boutique where you’ll find everything you need to share news about The Prosperous Author: How to Make a Living With Your Writing (Book One: Developing A Millionaire Mindset). Below are some images, sales copy and also the latest version of Developing A Millionaire Mindset. I am offering a special bonus gift to your followers as part of the 4-day launch promotion – commencing from 9 July to 13 July. I have also reduced the price to $6.99 for four days only. ALL THEY HAVE TO DO IS ORDER THE BOOK DURING THE 4-DAY PROMOTION, SAVE AND SEND ME THE RECEIPT (cassandra@cassandragaisford.com), AND THEY’LL RECEIVE THE FREE BONUS GIFTS. But this is a limited time special. “What I really like about The Prosperous Author is that it is a great book to read before you even put pen to paper. There are a zillion books on the market which tell us how to market and publish our books. This book stands apart from the rest in that it gets your head in the right mindset to create the best possible book. 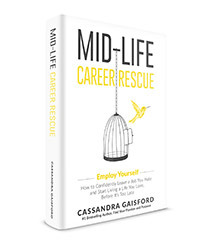 “Cassandra Gaisford has molded a helpful resource in her latest publication, The Prosperous Author, together with helpful ideas encouraging readers to believe in their writing, or in my case, in my project, she also presents challenges to motivate the reader, well-chosen examples of successful writers and honest offerings of her own journey. 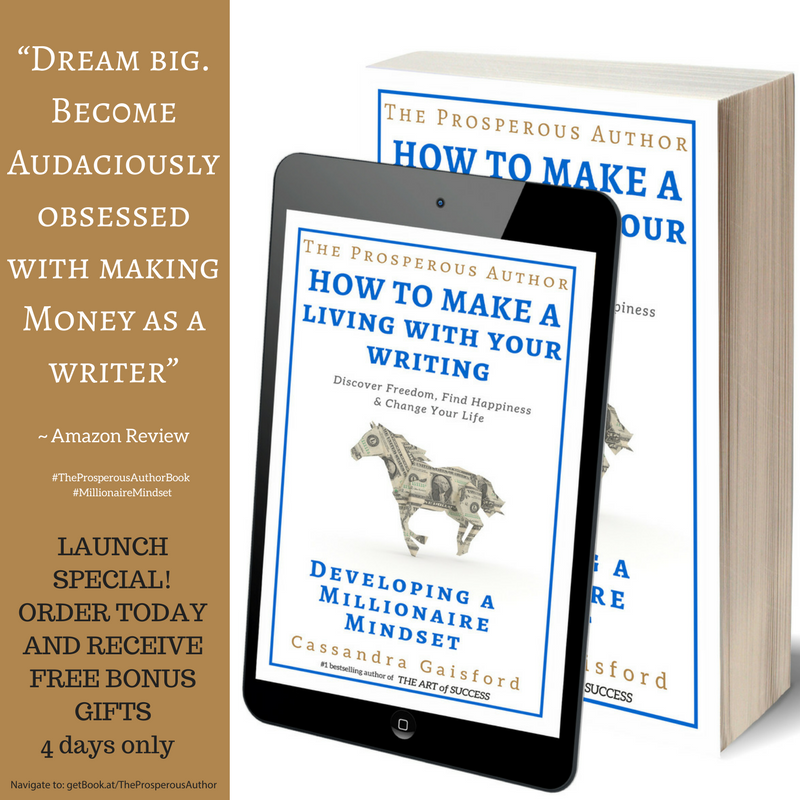 “A lot of great insights on how to become a more positive, passionate and prosperous writer. I loved the second part of the book “Cultivate a burning desire”. It really motivates me and inspires me to see how successful writers think and act. “Author Cassandra Gaisford has brought a much-needed book to the self-publishing market. 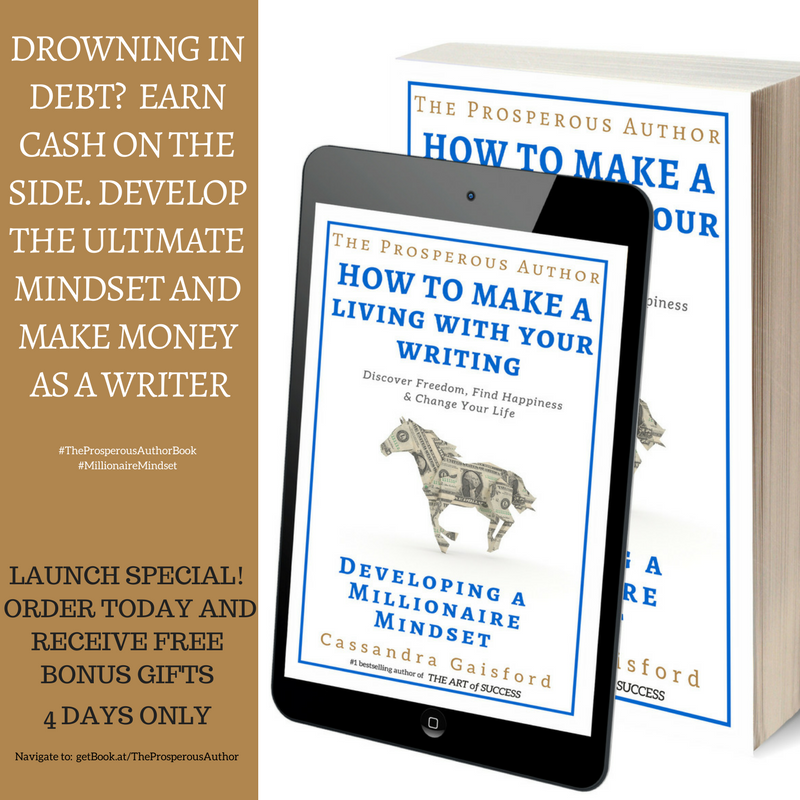 The author of the popular Mid-Life Career Rescue series has published multiple books on Amazon and is now sharing her secrets as a successful author in this latest book The Prosperous Author: How to Make A Living From Your Writing. The Prosperous Author is a great read that really dives into the mindset of what it means to not just prosper financially but to live a successful and well-balanced life based on health, happiness and close relationships. This book is definitely for the reader who lacks self-esteem and wants more of it, wants to overcome perfectionism, or has doubt and uncertainty and needs to break beyond these barriers. The Prosperous Author can show you how to do all of that. This book really has a positive impact on one’s mindset. As the author points out in her key message throughout the book mindset is at the core of all our success. It creates emotion and motivation. It brings us up or keeps us down. The book wastes no time and jumps right into The Millionaire Mindset. We can learn how to think like a millionaire and how to develop the strategies and apply them to our life for attracting more influence and money. By programming your subconscious beliefs you are rewiring your own brain for success. The author teaches us to nurture our thoughts and cast out the negative seeds that are growing there. We can see that attitude is everything. Energy is another great topic discussed. We can boost our energy by cutting away the relationships and negative influences holding us back. This is one of my favorite chapters in the book. We can “Relive Our Life Story” too, by imagining the life that we could have instead of the life that we wished we had had. Then, in the chapter “Blossom” we learn to pay attention to divine creativity, intuition, and signs of manifestation. 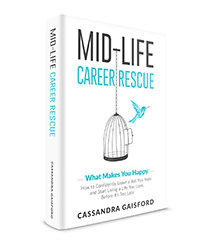 Cassandra gets into the topic of passion and we can see how cultivating a passionate lifestyle frees us up to pursue life’s gifts, and to craft our writing into a solid piece of reading material. Write with your purpose and the words will flow much easier. 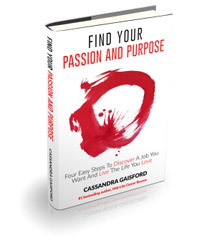 This book really hits home for me as an author AND someone who is dedicated to carving out purpose, passion and a life of more wealth and health. Every chapter ends with a positive wrap up [Mining for Gold] of the important lessons learned. Keeping deadlines. Without deadlines, how can we get our work finished? There are solid strategies here for doing just that. 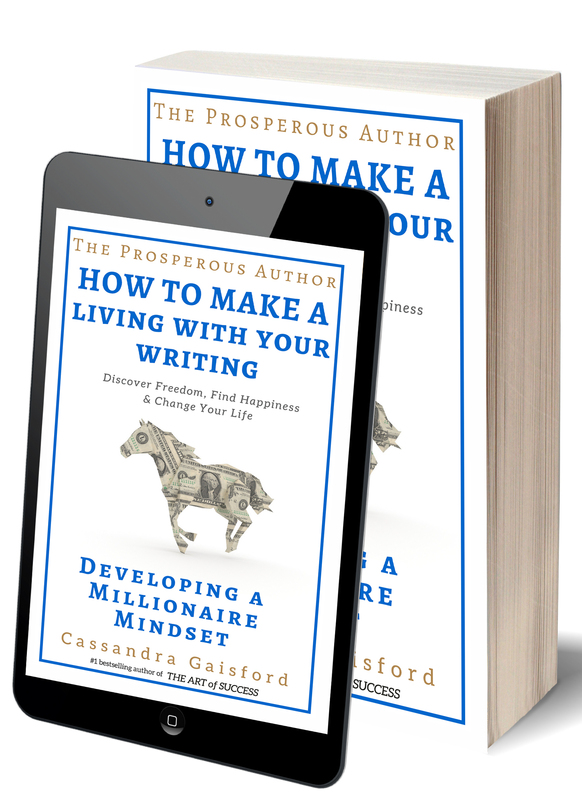 As Cassandra points out as well, we can become prosperous authors by journaling our way to success, staying focused on the task, keep doubt out, stick with perseverance, and believing in yourself to get the job done. This book is well-written, structured and serves as an excellent resource for authors and people looking to fill up their lives with positivity for achieving their goals and objectives. You may wish to use the images at the end of this page in your newsletters, blogs, social media posts when sharing news of this book. Simply left click and save in a folder on your desktop, Dropbox or similar. When posting content please add the image FIRST, before adding copy, as this helps the rankings and searchability. 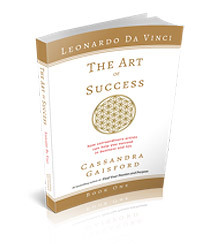 This is the sales page we will all be promoting: Amazon getBook.at/TheProsperousAuthor. If you are able to place a link in the images please check that the link works to Amazon.com. Facebook is NOTORIOUS for a crappy reach for posts. The only way I know how to combat this is to ‘like’ (and comment if possible) on all our posts to help them reach a bigger audience. I ask that at some point during the 4-day sale you post the link to your author page (or where you’ve posted about the sale on FB) on a thread that I’ll start in the Prosperity for Authors group so we can all go and ‘like’ each other’s posts to get some momentum going. Newsletter: I’ll be starting another thread in The Prosperity for Authors to ask you to post a link to your newsletter once you’ve sent it. To get the link for a sent newsletter (in Mailchimp): Click on campaigns, find the campaign you sent and click on the down arrow beside ‘View report’, select ‘View e-mail’. Select and copy the link in your navigation bar, post this in the group thread. Click the link below to download a FREE copy of the most recent edition of Developing A Millionaire Mindset. This is for your enjoyment only—please do not share with anyone else. It would be awesome if you would send a newsletter to your tribe and post news of the book on your social media pages over the period 09 July – 13 July. 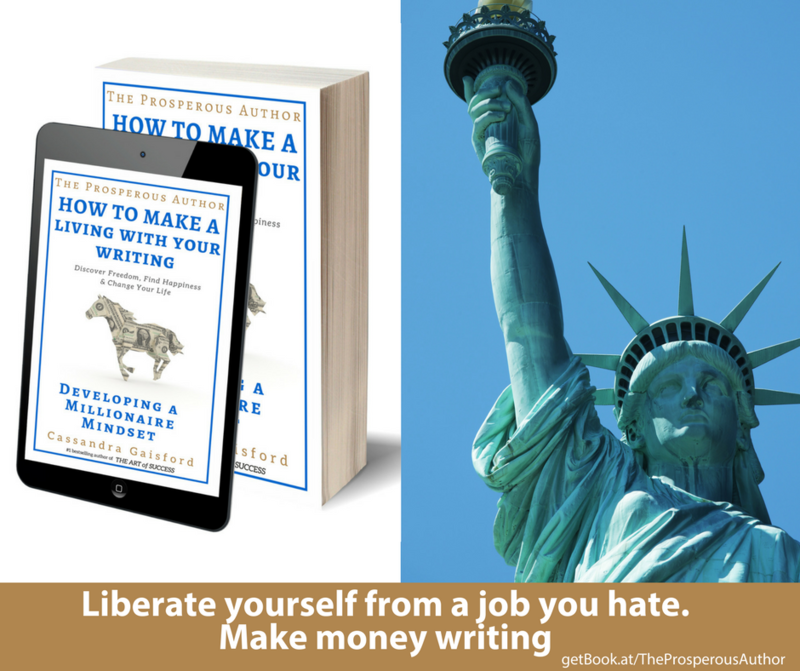 Perhaps you’ve bought into the myth that you can’t make money from your writing. Or maybe you find yourself worrying and suffering from self-doubt about your abilities. For years, the fallacy of the starving artist, low self-esteem and a fear of failure, has pervaded our culture, leaching into the minds of creative people and stifling their dreams. My friend Cassandra Gaisford, a holistic psychologist, award-winning artist and bestselling author, has written a new book to help you succeed—The Prosperous Author: Developing A Millionaire Mindset is a blueprint for mastering five principles of success. 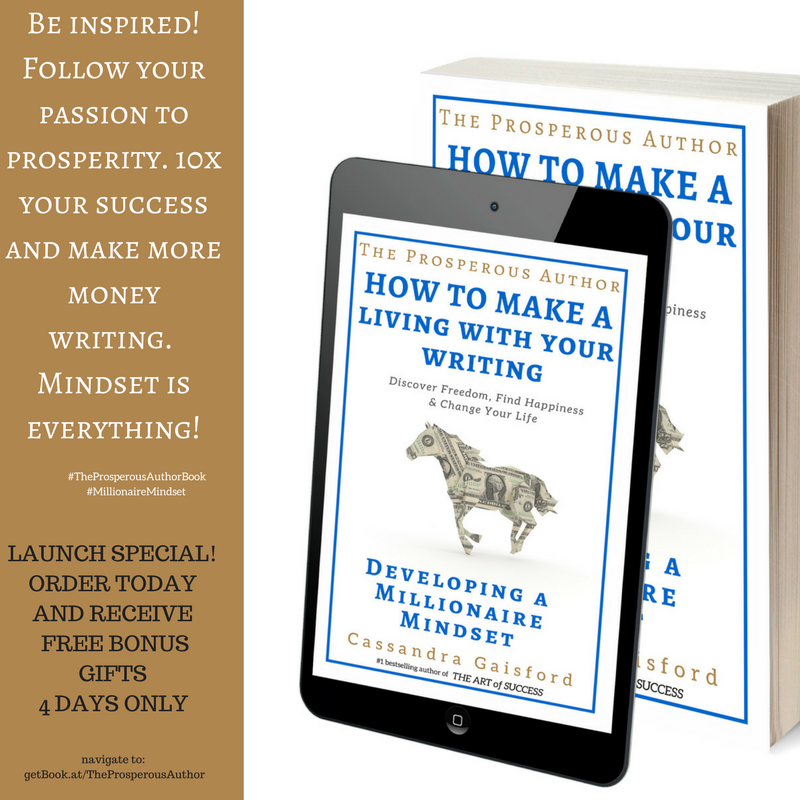 A must read for anyone who wants to make a living from their writing, earn extra income on the side, or improve their mindset! 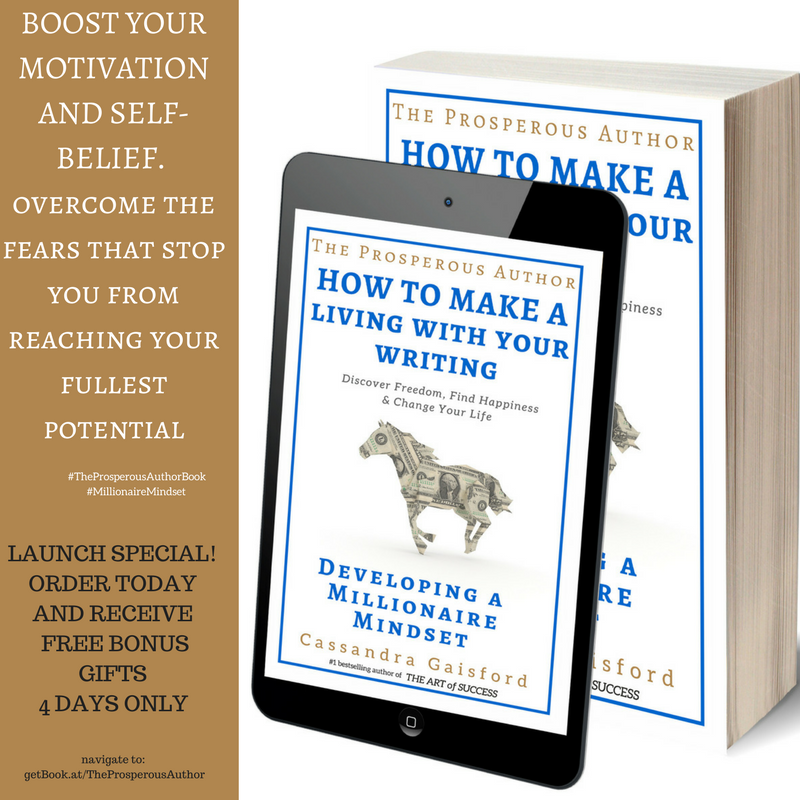 Order The Prosperous Author: Developing A Millionaire Mindset, save and send Cassandra your receipt, and receive FREE special bonus gifts! 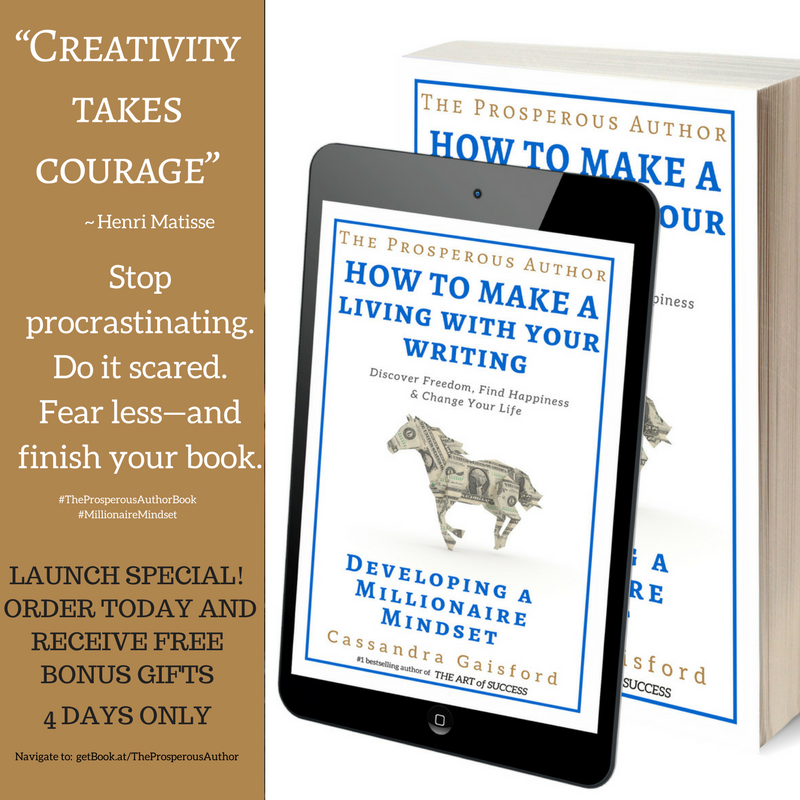 I’ve also included a message at the end for those of us who want to encourage other authors to perservere with their creative journey. * Would you love to encourage other authors? * Is helping people improve their mindset important to you? * Do your followers appreciate books that help them elevate their success? * Could you do with a motivational boost? —Click the Amazon link here getBook.at/TheProsperousAuthor. Twitter: I use Tweetdeck (https://tweetdeck.twitter.com ) to set up all my tweets in advance and I recommend you do something the same on whatever platform you use to schedule tweets OR over the 4-day promotion sale find me on Twitter @cassandraNZ and retweet my sale tweets. A Twitter-sized launch special graphic is below for you to use. Facebook: You can schedule a post to send during the 4-day sale on your author page. If you don’t have an author page, you’ll have to do this manually OR you can share my sale post from my author page: hwww.facebook.com/cassandra.gaisford Facebook-sized launch special graphics are below for you to use. Newsletter: As far as I know all newsletter providers allow you to schedule an e-mail to your list. A sales graphic banner is attached to the e-mail for you to use in your newsletter. Instagram: I use Grum (https://grum.co/) to post to Instagram from my computer and set up my posts in advance. If you’ve finished the book, and haven’t posted your review yet, would you mind sharing what you thought? Please take a moment to add a brief, honest review on Amazon.com here— getBook.at/TheProsperousAuthor.